There are no buttons to be found, meaning it’s entirely foot-driven; as such, your hands are free to focus on other interactions using a standard Dualshock 4, PlayStation Move controllers, or the PSVR Aim. 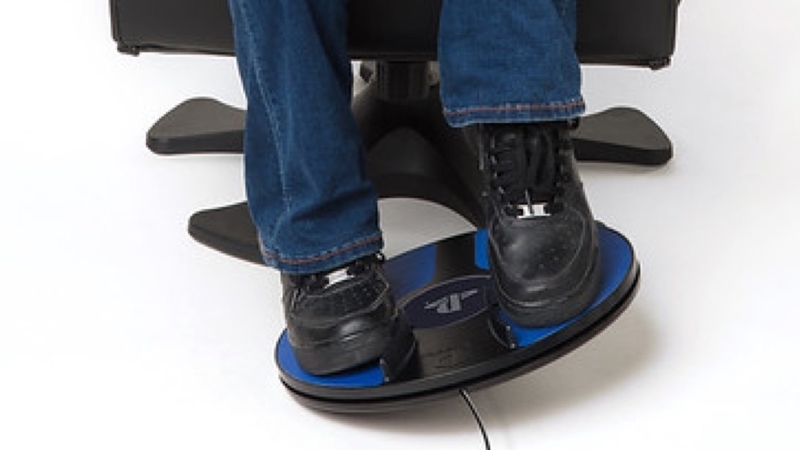 “You can use your feet to dodge incoming attacks and leave your hands to concentrate on firing back, while glancing round for additional enemies,” says 3dRudder, “It’s simply a more immersive experience.” For obvious reasons, it can’t be used while standing up. The 3dRudder will support over 35 games when it comes to PS4 on June 17th, including the likes of Red Matter, Undead Citadel, and Ultrawings VR. It should retail for around £119, and a full list of games is available on the PlayStation Blog.